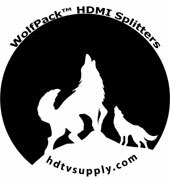 HDTV Supply's WolfPack 1x15 HDMI Splitter Over CAT5 is a unique device that allows connecting any HDMI digital video source such as a DVD player, Camera, AppleTV, Satellite, Cable Box, PC, Xbox, PS43 and more with an HDMI output to up to 15 digital displays upwards of 300 feet away. The 1x15 HDMI distribution amplifier splits an HDMI signal into 15 mirrored (the same) outputs without signal loss upwards of 300 feet. The 1x15 HDMI Splitter Over CAT5 also supports control of the source device (like a cable box) from the 15-far away TV locations via its built in IR control. 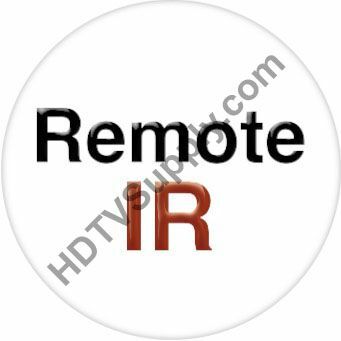 Just point your source remote control at the supplied IR cable located at the TVs to operate the cable box. It uses CAT 5e/6 cables and a Gigabit Ethernet LAN switch with MJPEG techniques and an industry standard IP protocol to deliver 1080p video from sources that are 300 feet away from the Ethernet switch and another 300 feet away to the TVs. It also allows the system to grow in the field as its design allows you the flexibility of adding more displays to the system based upon the number of unused Ethernet ports available. The 16 port Ethernet switch has 15-unused outputs which allows 15-more displays to be added by buying 15-more HDMI receivers. 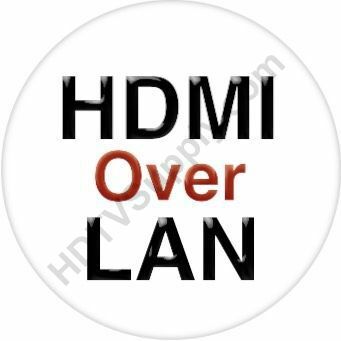 Supports HDMI 1.3, HDCP 1.1 and DVI1.1 compliantcy. Supports Deep Color up to 12 bits/color. Uses one CAT5E/6 cable for each data/DDC transmission. Equalizes and recovers the incoming ™DS data before re-transmitting it in optimal quality regardless of the incoming signal quality. Cable testing showed that with 1080p resolution the HDMI input source can be 20 feet away using 24 AWG cabling. When transmitting a signal in 1080p resolution the CAT6 operating distance is 100 meters or 33o feet. Why not buy this 1x15 HDMI Splitter Over CAT5 w/Remote IR today? The transmitter has a static IP address and can pair with multiple receivers (up to 253). Multiple transmitters and multiple receivers can be paired on the same network. Why not buy this 1x15 HDMI Splitter Over CAT5 today? Any HDCP compliant HDTV, monitor and projector. Q: What are the IP addresses of the transmitter and receiver? 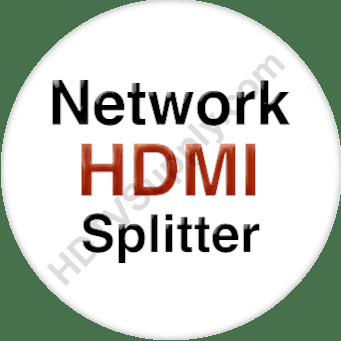 Q: Are all ports capable of 1080p HDMI? A: Yes, even at 300 feet. Q: Sometimes we see a message on the screen "Searching for TX", what is that? A: That usually happens when the source is turned off or in a standby mode with the HDMI connector not outputting any signal. The (TX) transmitter is looking for a hot HDMI signal on its input.